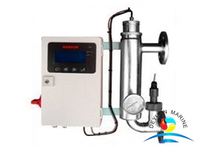 Marine Silver Ion Sterilizer is designed to provide disinfection to potable water onboard, and inhibit growth of bacteria and germs.Silver sterilizing is a very old way for fresh water treatment, the treated water can be kept fresh for longer time than other treatment, likes UV sterilizing and chemical dosing etc. 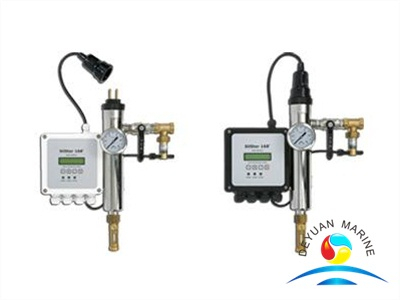 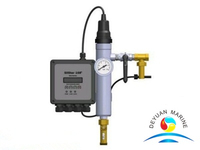 The whole system includes stainless steel chamber, silver ion electrodes, flow meter, pressure gauge, control cabinet. 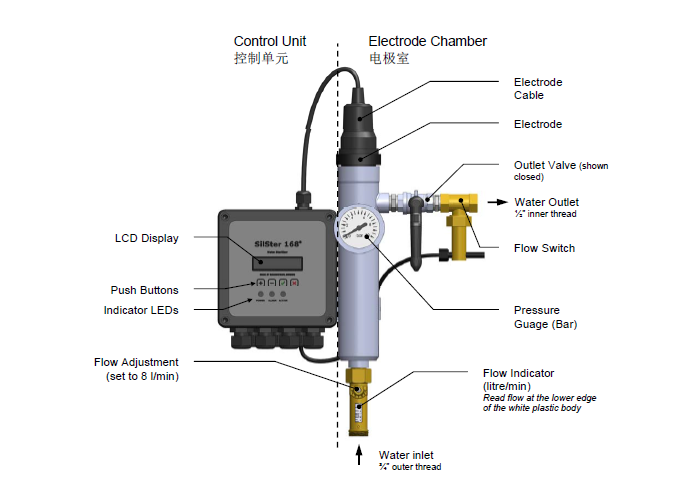 *Very easy to change electrode.